Hasbro made a takeover offer to Mattel in 2017, offering a way out for the ailing manufacturers of Fisher-Price, Barbie, and Monster High. Boldly, Mattel sniffed at the offer, choosing instead to, as Hasbro has done rather successfully, lean into their nascent film division. If the Transformers could break the box office, couldn’t Polly Pocket do the same? That decision gave us the much-ballyhooed Barbie adaptation that’s said to star Margot Robbie, as well as a Masters Of The Universe reboot that’s in the midst of a shake-up. 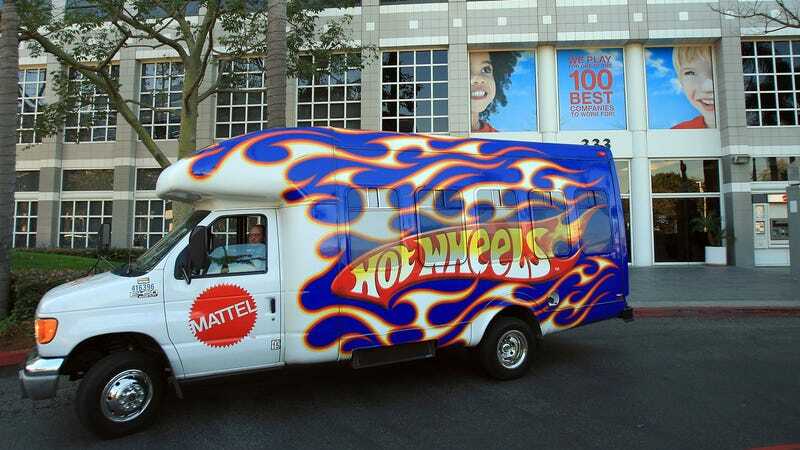 Now, the company is turning to another of its most timeless brands, with Variety announcing that Mattel will team with Warner Bros. for a live-action Hot Wheels movie. Interestingly, Warner Bros. previously held the film rights to the toy, but relinquished them to Legendary Entertainment, who also dropped the ball on getting an adaptation off the ground. With the Fast and Furious franchise’s recent expansion efforts flooding Hollywood with Valvoline and back sweat, Warner Bros. must now see the potential in fast cars going vroom and boom. “But Hot Wheels are just cars,” you say. “There’s no characters, no mythology, no story—they’re just cars!” This is true, but previous studios have already spent years building up weird stories around them, including one about “a washed-up Illinois State Trooper” and another about “a sort of Back To The Future portal.” Maybe it doesn’t need to be so complicated, guys.